When I was a kid (by the way, beware of anyone who opens like this), the great fear was the advance of the machine. The world was mechanical. Most watches still ticked in clockwork measurement of time, so that to me it seemed that time did “Tick away”. Common London vernacular described the human heart as your “ticker”. Now the beep and the arty bing bong form the punctuation of time. The electronic calculator arrived as I was at primary school and its been a one way street ever since. A few days ago the final bridge to that past was blown. The last typewriter factory in the world closed down. Now let us think about that. 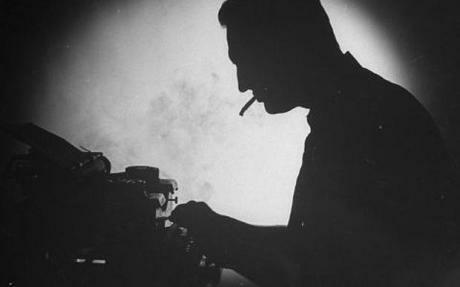 The works of F.Scott Fitzgerald, Hemingway and Shakespeare were all qwertyd out by ribbon and roller sweat. (A deliberate error is included to keep you awake). I hit the keys during the 70’s as a teenager and I still have my old friends at my side. These machines beat out novels and poems that were rejected by some of the greatest publishing brands in the world. 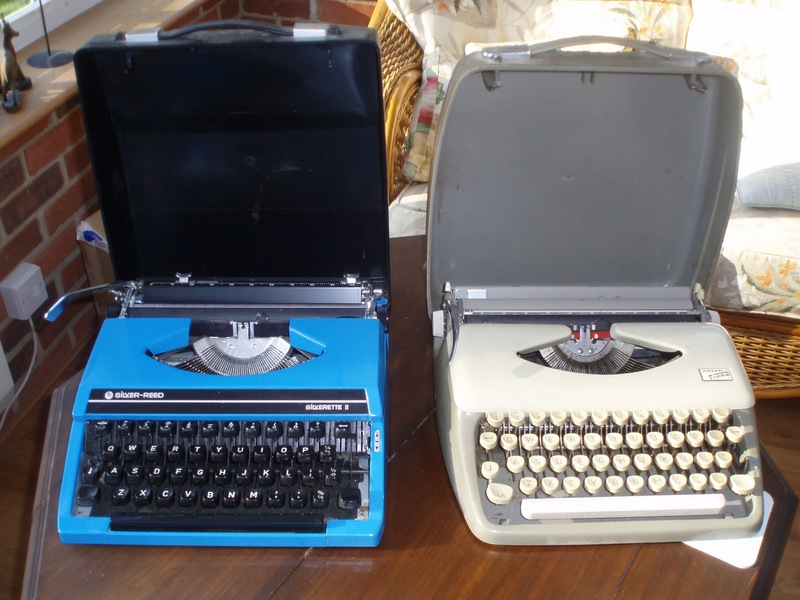 Words pounded into the paper on these keyboards sat unread in slush piles of Faber and Faber, Mills and Boon, Poetry review and True Love magazine. Some of them are still there. Who knows, some work experience kid on a 10 year internship hoping for a job before she/he dies might be reaching for the next yellowing bundle on the !980 pile. What bothers me is what do we do when all the power goes off? Has anyone come up with the clockwork powered lap top? A recent survey has revealed that “most people” feel insecure and vulnerable if they do not have their mobile phone with them. I suppose I should poo poo this idea but actually I think this is true. Firstly I think that folk feel insecure and vulnerable anyway as their jobs and life-style lose stability. Secondly I think that the cult of individual grasping for self that has created our societies, has eroded the notion of community. The mobile phone represents a kinda friend and a connection to our own network, where folk just might be more kind or care. Unemployment among the young is a record levels and soaring. More and more old timer steam and clockwork guys are clinging on to their jobs, while kids who teethed on X box and have degrees are queuing for a job flipping burgers. I know it takes a while to turn the tanker around, but is there anyone on the bridge? Emma thinx: In the land of the blind, the one eyed man is under contract to the bank. This entry was posted in Emma Calin, Mills and Boon, mobile phones, typewriters, Youth Unemployment by emmacalin. Bookmark the permalink. I'm with you. I think it's scary and good fodder for a dystopian novel how segregated and technology dependent we are. The very last typewriter factory in the world closed! I'm not really surprised, but there's something about that finality that's sad. Do you know that in my Northeast Ohio school district they do not teach the kids how to write in cursive? They think it's a waste of time because everyone uses computers. They also do not drill the multiplication tables into the kids' heads, because everyone has a calculator. Both bid mistakes I think.